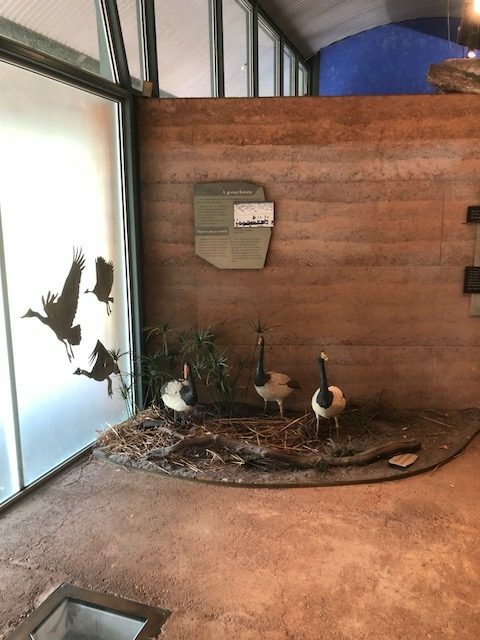 The Kakadu Visitor Centre is located just 5 klms from the township of Jabiru. 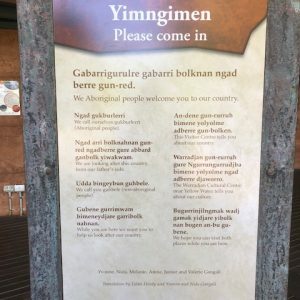 You will find the turnoff approximately 4 klms down the Kakadu Highway on the right hand side when you are turning off the Arnhem Highway. 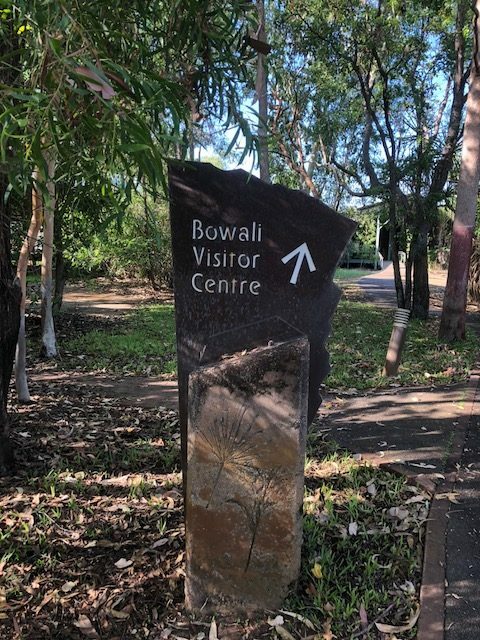 The staff at Bowali can assist you on road conditions advise you about the activities going on in the park such as the Ranger Talks, slide shows and Guided Walks. 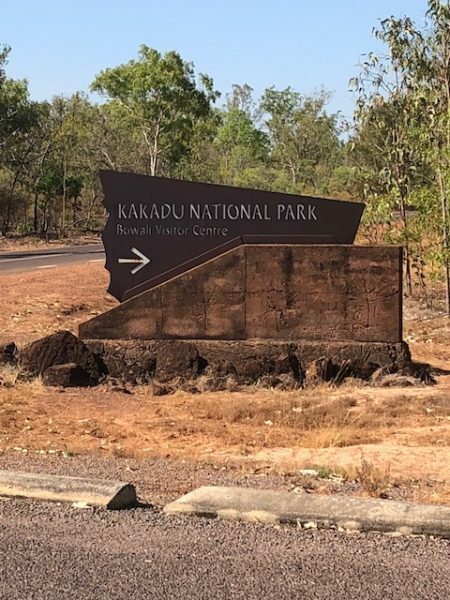 You will also be able to pick up the Kakadu National Park Guide which breaks down the park into sections explaining distances, roads and how long to allow in certain areas. 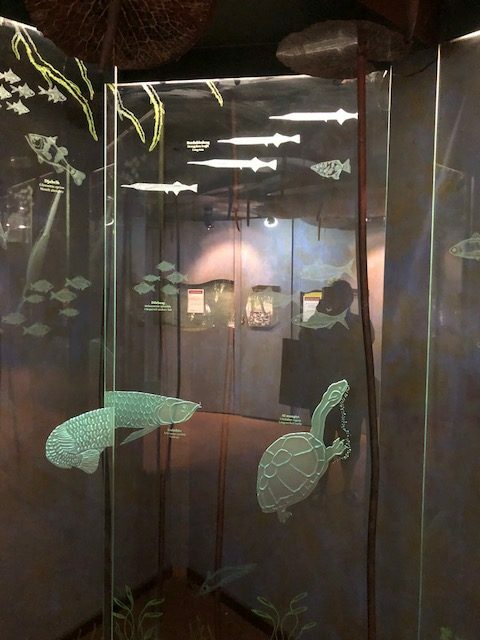 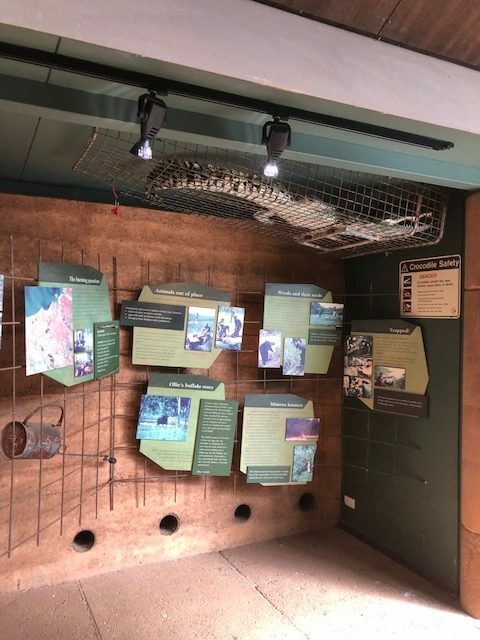 The Visitor Centre “Bowali” (Bor-Warl-ee) contains a wealth of information about Kakadu including a theatre, library and interpretive display. 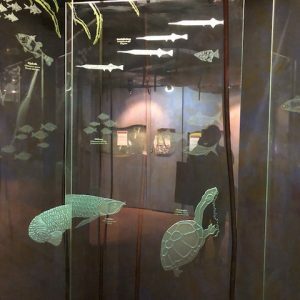 There’s a walk-through display including a giant crocodile skeleton and even an air conditioned library. 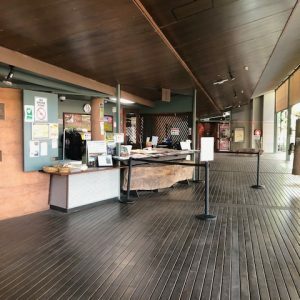 The cafe and Gallery are open from 9 am til 5 pm. 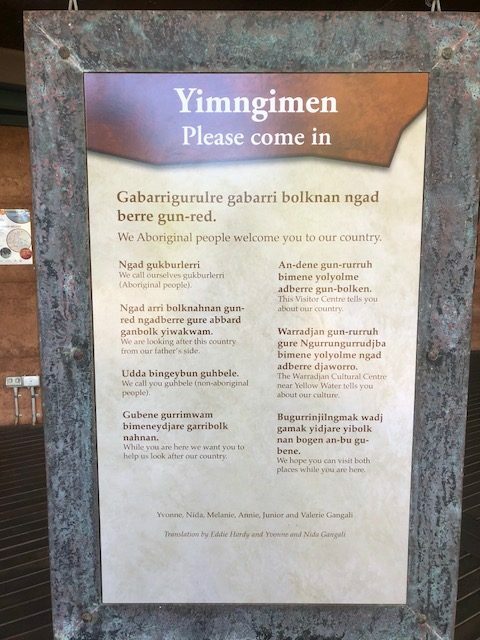 Open daily (closed Christmas Day 25 December) : 8:00am to 5:00pm. 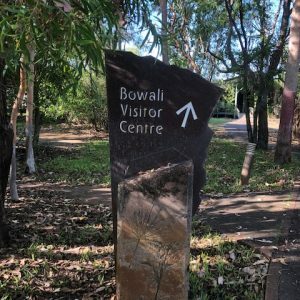 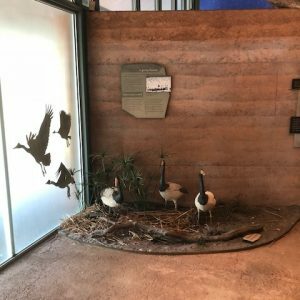 If you havn’t already purchased your Kakadu National Park Pass before arriving in Kakadu, you can do so by stopping off at the Kakadu Visitor Centre “Bowali”. 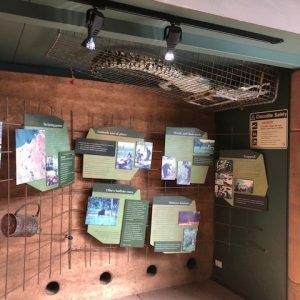 The staff there can advise you on the Ranger Talks and activities that occur in Kakadu and how to get to them. 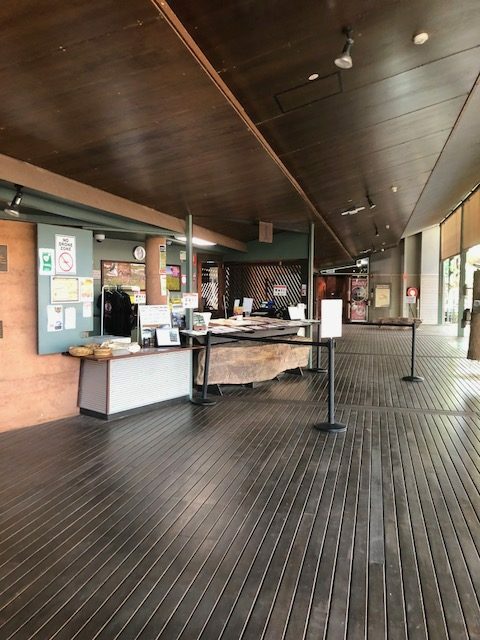 The Kakadu Visitor Centre does not handle tour bookings, for all your tour bookings come into Kakadu Tours and Travel in the Jabiru Shopping Centre.